Nanoil Hair Oil works for every scalp and hair type. It has repairing, moisturising and nourishing properties. It takes care of both internal and external hair structure. The oil prevents hair ends from splitting, protects from chemical and mechanical damage and shields from free radicals. 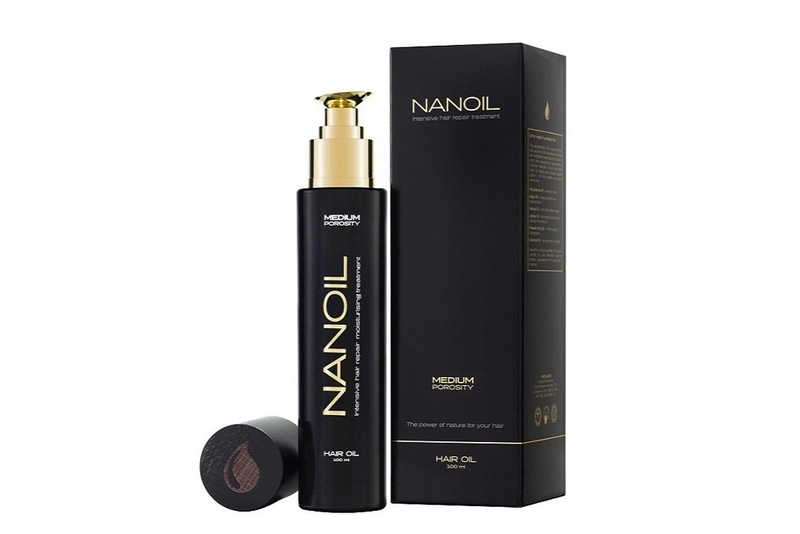 Nanoil Hair Oil eases combing, reduces blow-dry time and helps to style a hairdo. Nanoil works as a shine-boosting, smoothing and softening serum. 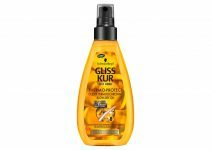 It reduces sebum secretion, reinforces hair bulbs and prevents the occurrence of dandruff. How to use Nanoil Hair Oil? You can apply Nanoil Hair Oil in a variety of ways. Spread the oil on dry or wet strands, throughout its length or only hair ends. The cosmetic works excellently as a nourishing and reinforcing scalp treatment. Feel free to add Nanoil Hair Oil to your favourite hair products. Nanoil For High Porosity Hair: Almond Oil, Argan Oil, Evening Primrose Oil, Avocado Oil, Maracuja Oil, Cottonseed Oil, panthenol, keratin, lanolin, silk, Kerastim, Baicapil, vitamin E and UV filter. Useful info: Nanoil Hair Oil has a lightweight and quickly-absorbed formula that doesn’t weigh your hair down. One bottle of Nanoil contains 100 ml of the oil. Nanoil is available in three versions: Nanoil For Low Porosity Hair, Nanoil For Medium Porosity Hair and Nanoil For High Porosity Hair. Fun Fact: Nanoil Hair Oil comes useful for men. They can take care of their beard and moustache and even inhibit hair loss and slow down hair greying.